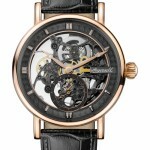 Hey everyone, today I’m doing another movie watch feature where I pick up popular watches from movies and feature them on the site. Today we’re featuring the Equalizer watch that’s worn by Denzel Washington in this popular action film. The Equalizer features Denzel Washington playing the part of Robert McCall, a man who believes he has put his mysterious past behind him and now lives a quieter life in a local hardware store. Little does he know he’s about to get involved with violent Russian gangsters when he comes out of retirement to help Teri (Chloë Grace Moretz) a young girl under the control of the gang. The Equalizer got a 7.2/10 on IMDB and is a film I’ve really enjoyed a few times over now. It’s my type of action packed film that I can happily sit and watch whilst I recover from a hangover on a Sunday morning. 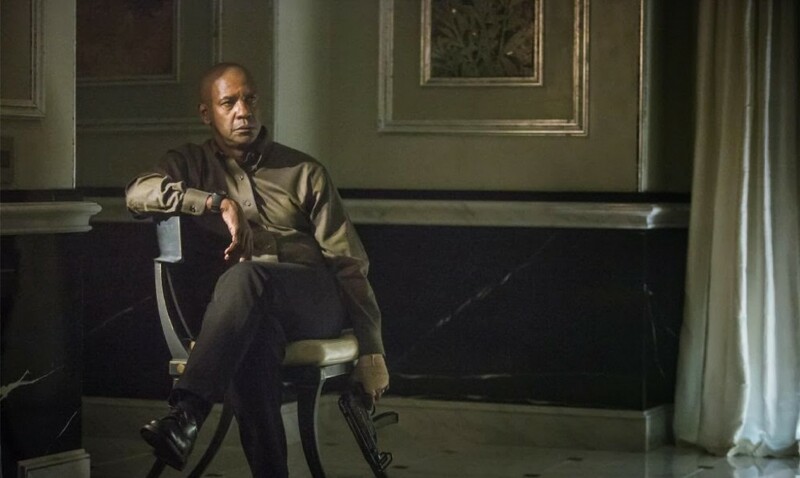 In the Equalizer we see Denzel Washington wearing a pretty cool looking watch which led many people to ask the question: what watch is Denzel Washington wearing in The Equalizer? I have some good and bad news for you. 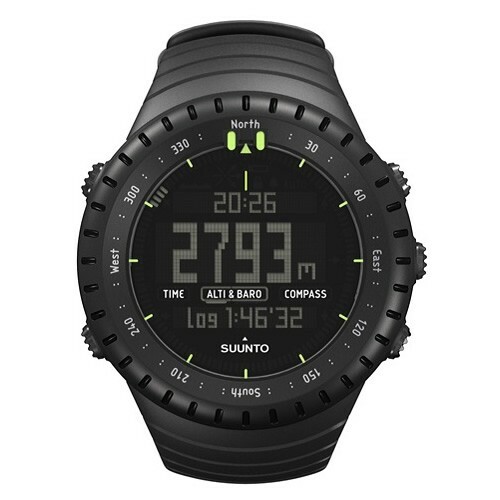 The good news is that The Equalizer watch is a Suunto Men’s Core Watch in black. I guess you’re wondering what the bad news is. 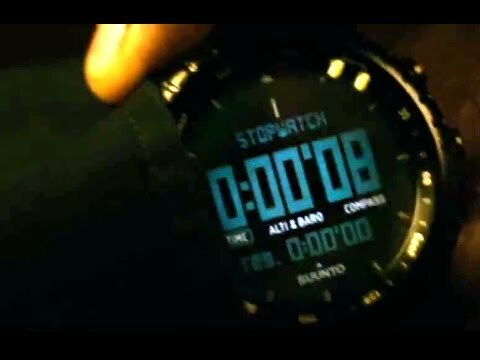 Well, a lot of people are after the watch for its large digital stopwatch that’s seen in the movie, the sad fact is, that scene is actually computer generated and not something you’ll find on the actual watch. That being said this watch in The Equalizer is still a very decent watch. You see in the above image this large stopwatch countdown which is what a lot of people are after when they go looking for The Equalizer watch worn by Denzel Washington. As I mentioned above this simply isn’t a feature of the watch as it currently stands. The stop watch remains a smaller aspect shown on the dial. The Suunto Core watch in black is the watch that features in The Equalizer and is worn by Denzel Washington in various scenes. 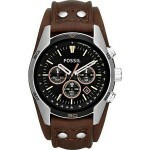 This is a popular all black watch that’s perfect for those who like outdoor watches. This Denzel Washington watch has a large casing diameter of 49mm with a thickness of 14mm making this quite an oversized watch. The casing is made of a mixture of rubber and stainless steel for a sturdy build. The dial features a large digital display that showcases tons of useful information for the outdoor enthusiast. This watch from the Equalizer has many useful features which I’ll go into detail about below. Altimeter: The altimeter features uses FusedAlti technology for exact altitude measurement that’s created using a combination of barometric and GPS data. With this, you can create more accurate elevation profiles as well as recognize sudden changes in the weather. If you’re a hiker, geocacher or skier these features are bound to come in handy. Weather reports and daylight: With this feature, you can see air pressure trends that alert you to any weather changes as well as storm warnings to inform you when it’s time to seek some protection from the elements. You’ll also see sunrise and sunset times which display how many more hours of daylight you have available for your outdoor activities. Compass: A compass is an invaluable tool that can be used to orient yourself in the wilderness or extremely poor visibility weather conditions. A compass makes navigation easy, having gotten a little lost in the Redwood National park a few years back I’m pretty sure this type of watch would have been helpful. Extra features: Common features that are found on many other watches include a dual time display, date display, alarm, depth meter reading for snorkelling, backlight, and a water resistance rating of 30m. Powering the Suunto Core SS014279010 is an accurate and reliable quartz movement. A mineral crystal glass offers a good level of scratch resistance and is favoured for outdoor watches due to its shatter resistance that actually beats sapphire crystal glass. So there you have it, The Equalizer watch worn by Denzel Washington. Why don’t you check out Ryan Gosling’s Drive Watch next – this features the watch worn by Ryan Gosling in some memorable scenes from the movie Drive. 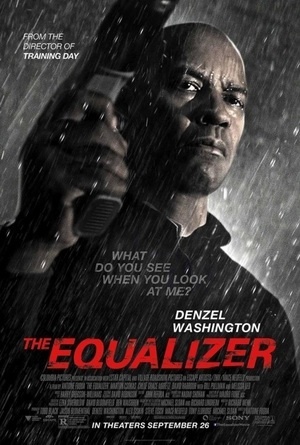 If you haven’t seen The Equalizer yet and are into action films or are simply a fan of Denzel Washington then I highly recommend watching this film. Below I’ve included one of the first trailers for the film to give you an idea of what it’s about.